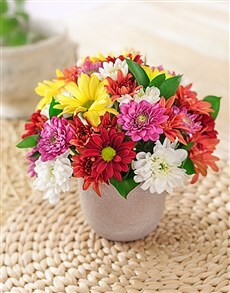 Condolence Flower Ideas - For when you don't know what to send. When sending flowers of sympathy and solace we tend to steer clear of fun and frivolous flowers like pink carnations or a bouquet of red roses. 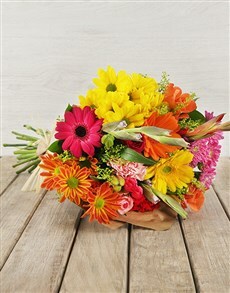 Instead we will send flowers that have a gravitas and a certain sombre elegance to them. Flowers that will carry the weight of such a tragedy, these flowers and colours are traditionally – well according to Western tradition any way – cream roses and lilies. Of course different cultural backgrounds have their own preferences and floral traditions; for example in India white is the official colour of mourning, where as in the East in places such as China the official colour of mourning is red. 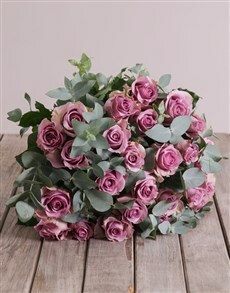 There are flowers that are traditional condolence flowers that will be delivered to either the home of the bereaved or the funeral parlour in time for the service or funeral. The convention of buying flowers is usually synonymous with a joyous occasion, the bright colours of the petals mirroring the ebullience of the celebrations like a new baby or a 21st birthday. When buying condolence flowers we need to mirror the serious nature of the occasion, while it may be a celebration of a life there is a certain gravitas that the ceremony or service must hold. Flowers that are sent to the bereaved are often white or cream as the colour white implies purity, it is for similar reasons that the Lily is most commonly known and used as the funeral or condolence flower, because the lily is a symbol of purity it denotes that the soul, once it has left the body is once again purified and innocent. 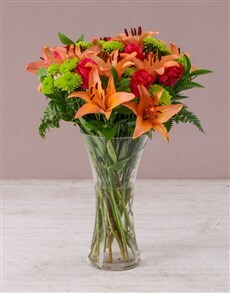 But don’t worry if you don’t think that sending lilies as a flower of condolence is a good idea, we are 100% certain that if you send the deceased favourite flower or colour, the family and friends will appreciate the gesture just as much as if you had stuck to the rules and sent an arrangement of lilies in comfort.